4k00:25Highway in night time. Sea view. Aerial view. 4k00:30July 10, 2018. Docks, Gran Canaria, Spain. 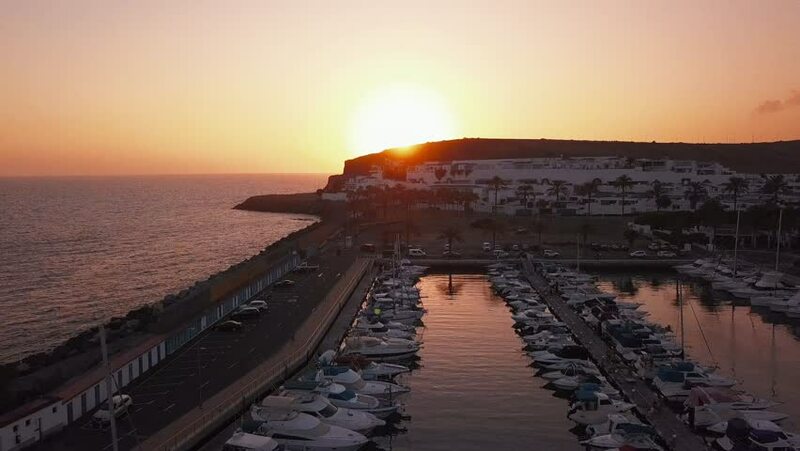 Aerial view of the docks with many yachts during sunset time. Small boats are docked by the coastline on the island of Gran Canaria. 4k00:19Aerial of the Savannah River at sunrise with an industrial port downriver.